Just moments after the announcement of its brand new client, both the official Telegram app and Telegram X apps mysteriously disappeared from the iOS App Store. Apparently, these messaging apps have been taken down from the App Store, without any official word from the Russian company. While users were excited to try out the new messaging app, built using Swift, the reports for the removal of both the official messaging clients from the App Store started to trickle in. The same was first pointed out by users over at Reddit, who began to contemplate that Telegram’s takedown was somehow linked to the launch of Telegram X. All these users were equally confused about the reason for the same, especially for why it would be linked to the Android app’s launch earlier today. This is not intended. Hopefully, it will be resolved quickly. Both versions should come back soon. The removal of Telegram’s official apps from the App Store was shrouded in mystery and iOS users were utterly perplexed about what to do next. But, it now looks like Telegram CEO Pavel Durov has finally come to the rescue. Just a while ago, he tweeted the reason for the removal of the apps and put an end to everyone’s apprehensions. 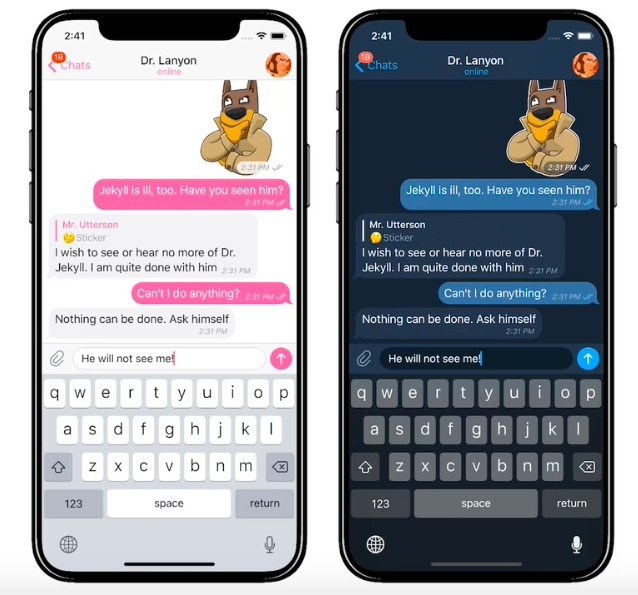 The Russian messaging giant is currently ironing out kinks that may have led Apple to pull down its apps from the iOS store. It is necessary precautions and expects both the apps to be made available for download to iOS users very soon. So, if you’re feeling the lack of privacy in your life, just wait out this sudden takedown and check out Telegram X.